La Grulla en la Sombra. : Dzongsar Khyentse Rinpoche habla de la vida y de la muerte. La Grulla en la Sombra. 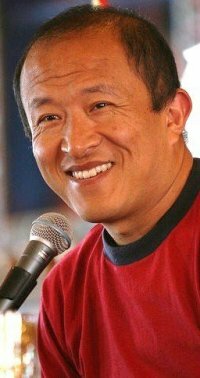 Dzongsar Khyentse Rinpoche habla de la vida y de la muerte. El contenido trasciende el tema del título. Un grande. Me da mucha alegría divulgarlo. Several people have requested me this teaching and I have accepted with the thought of having a great opportunity to accumulate some merit for myself. In the 100,000 verses of the Prajnaparamita Sutra Buddha said, “sadness is very important”. If you consider that there are all kinds of wealth, worldly wealth, property, money, friends, then there’s also a beyond worldly wealth. And as you all know wealth is very difficult to obtain, especially this beyond worldly wealth. And there is not so much beyond worldly wealth especially for the beginners. Sadness is one of the greatest kinds of wealth a spiritual person should have. Chogyam Trungpa Rinpoche called this sadness ‘genuine heart of sadness’. Of course, you can think we already have too many sad things, we are already very sad. But our ordinary sadness is different from this wealth of sadness that I’m going to talk about here. Ordinary sadness is based on something like trying to put three strawberries on top of each other. You have this hope you know, you have one strawberry and then you try to put the second strawberry on top. The second one is sort of OK but the third is so difficult it keeps falling off. And this can get worse because sometimes, the third strawberry appears as if it is sitting for a few seconds on top of the second. That’s terrible! It gives you hope that next time you can do it, next time is the special time. If you look at it our life is a bit like that. From the beginning, we have been trying things. But it’s very rare that people have the feeling that they’re OK, that they’ve lived their life. People think in terms of, ‘I’m yet to live properly’. So this kind of sadness is worldly sadness. When we talk about beyond worldly sadness, the wealth of sadness that we’re going to discuss, in a way this sadness is like a blissful sadness. It’s a bit like listening to a sad song. The sadness comes from knowing the truth. And because you have understood the truth you know whatever you do, no matter how close you get, the third strawberry is just sitting there for a few moments and it is going to fall. Understanding that kind of truth, that kind of feeling is like laughing at yourself basically, that kind of sadness. It’s like making fun of yourself, and your way of doing things, your attitude, your thinking. That helps us. This life is difficult. So what? This is why we keep going shopping as if we are going to live for a thousand years. When we go shopping we’re putting the third strawberry on top of the second. So this is why this genuine heart of sadness is a great wealth. Now, the only way to get this wealth is – forget about getting. The only way to even begin to appreciate this wealth, long for this wealth, is by understanding the truth. 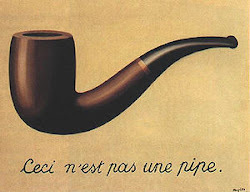 And we’re not talking about a very profound high truth like ‘form is emptiness, emptiness is form’. This time we’re going to talk about the simple truth, that we just have no choice but to accept: the truth of death – The truth of death not in terms of something that will come in the future; the truth of death in terms of happening now. This very moment we are dying. Understanding this truth is actually in a way understanding the truth of living also, of course you know this. So I will be talking more about this, rather than giving you a hands on list of what you should be packing when you are about to die. But there’s one important issue here: reincarnation, the next life. If there is no next life then there’s no need to worry. You are like a plant. When the plant is finished with its power to exist then it will cease to exist. Many of us, because we are kind of Buddhists, just blindly believe in reincarnation. We take pride in believing in reincarnation. Some of you anarchist scientists might like to take pride in believing that there is no reincarnation. From the Buddhist point of view, having a reincarnation or not having a reincarnation, are both dualistic from the ultimate point of view. So we can only talk about reincarnation on the relative level. And when we talk on the relative level, basically we are talking about something very vaguely. That’s part of the package of relative truth; vague, not precise, generalised. In the Prajnaparamita Sutra again the Buddha said this. He was talking to one of his disciples who had reached to just before the first bhumi, sort of this very high stage when a bodhisattva reaches the first bhumi, he has already accumulated merit and purified defilements for two countless aeons, many lifetimes. And this bodhisattva was in a complaining mood. He said, this is getting really long, two countless aeons, billions of rebirths again and again. Buddha said, don’t worry. He said, when you reach the first bhumi you will realise that all those rebirths, New Years, Christmases, changing nationalities, all kinds of forms, sometimes flying, sometimes swimming, all happened within the duration of a spark coming out of the fire and dead. The Buddha said, and then when you reach the tenth bhumi, the bodhisattva looks back and realises he has liberated countless sentient beings. To this bodhisattva the Buddha is saying: if the bodhisattva thinks that I have liberated millions of sentient beings then it’s like a fire fly thinking I have lit the whole world. And then he said when you reach Buddhahood, you will realise you have never been a sentient being, ever. You have never practised hard, never suffered right from the beginning. You’re not even a Buddha at that time. These three examples give us an amazing insight into Mahayana Buddhism. In the first example Buddha is destroying the concept of time. If there is no time what is reincarnation? In the second example Buddha is destroying the concept of space. In the third example Buddha is destroying the whole concept of a path and the fruit. So reincarnation exists only within the context of the notion of time. From yesterday till today I have continued. That continuity is the only thing that I have that I can point out as a reincarnation. And this experience of continuity will continue until it meets an obstacle. I think there’s a very good Hindu analogical story. This man was always praying to Krishna. One day he dreamt that he was very thirsty. He was dreaming so he goes around begging for water, and he dreamt that somebody was offering him water. And this water became like a flood. He was carried away by the flood. He reached to some other shore where he was a complete stranger. He didn’t know how to come back home. He didn’t know how to communicate with his wife and his children. Year after year he was searching to come back home. Meanwhile he met a girl there and started a family. One day when he went to fetch water again, he saw his own reflection in the lake. He had become old and wrinkled, and had a white beard. He felt so sad and he remembered his ex-wife, and at that moment he woke up, and Lord Krishna came. (Sorry, I know this is a Buddhist teaching!) He said, “What happened to you? You know you were asking for water and I was giving you water”. The reason why I’m giving you this example is that when he woke up from that dream, that whole time of losing his family, building a new family, all of that was gone within a moment. So in most of our heads because we’re brought up with this kind of culture, we think reincarnation is like changing the body, far ahead in the future. But we shouldn’t think in terms of in the future. When the guy saw his reflection in the lake and he felt so sad, at that point he woke up, right? Maybe the sadness he felt when he saw his reflection caused the end of this dream. So this is how the Buddhists believe our reincarnation will continue until it meets a cause that will destroy this continuity. 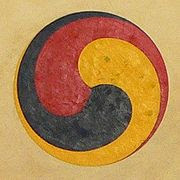 That cause is none other than the famous enlightenment – Enlightened means waking up from this cycle, this continuity. I’m telling you this because if you don’t have this concept, dying means nothing. Death is really pointless. It’s useless. There’s no point in discussing it. It’s the end. But from the Buddhist point of view, death is not the end. Death is not the time when you say the final goodbye. You say the final goodbye just before you enter enlightenment. Until then from the Buddhist point of view there are lots of fake goodbyes. Coming back again, I have been your husband many times. You have jilted me so many times. I have died for you many times, and vice versa. I’ve been fried alive so it will go inside your mouth so many times. That’s how the Buddhists think. The continuity is still there all the time. Now, if you can accept this then we can talk about death a little bit. Then it is also worthwhile to talk and quite important to talk. In fact for the tantric Buddhist death or dying is a really important point of our life that needs to be taught, because when you are dying you encounter the greatest opportunity. You are getting this opportunity not because you are such a great seeker or searcher. It’s not because you are looking for it, and then you got it. Actually most of us are not looking for death. Death will come because it is part of the package. And for the tantric people it is such a blessing, this opportunity, if you can use it. I’ll tell you briefly why it is such a great opportunity. Have you ever not been busy? In this state you are forced not to be busy, because things are falling apart. Your eyes can’t see. You can’t hear. Your body can’t feel anymore. These are the agents of busyness. The busy agents with the suitcase and the tie, they are fired! Gone! They are jobless. So there’s no agent who actually brings you the job. You are totally unemployed now, so there you have a chance. For the first time in your life your mind is in its most free, naked and powerful state. I’ll give you a very good example. I’m sure some of you have already experienced it. Have you ever dreamt you are flying? In your dream your body agent is jobless. See while you are dreaming it’s a bit like a small death. I’m not making this up. This is in the tantric texts. Sleeping is a small death. So when in sleep you fall from the top floor of Hong Kong and Shanghai Bank, and you can actually see all the red taxis below. Why? The body agent is not functioning: that’s why you can fly, that’s why you can fall and you’re not dead. Multiply this power ten, twenty billion times. This is what you will experience during dying or on the point of death. For this reason death became a big subject generally in Buddhism and especially in Vajrayana Buddhism. I think it’s very important that we change our attitude towards death. At the moment we have a negative attitude, based on all kinds of very deluded and selfish reasons. Primarily we are all so negative because we are not used to it. We are not used to somebody dead here, like ‘hello’, and then there’s no reaction. And we are not used to this thing slowly beginning to smell. But this kind of thinking is quite ridiculous because you can apply this to now, as we are living. Anyway, this is a challenge of the ego, so it is very difficult to shift our attitude from negative to positive or at least non-negative. I can’t do it. I think there is a tradition in many of the Buddhist countries to really be with the death. But it’s very difficult to accept. After many years, my cousin died in Bhutan in a hospital, and I was there. He died because he couldn’t breathe in, he could only breathe out, and that sight bothered me quite a lot, for a long time. I don’t know whether you remember a Russian submarine that got stuck and about 40 sailors drowned and that haunted me for months. I’m telling you about some of these things because I think it is really important to talk about it and not to ignore it. Especially for some of us like myself who are now climbing down age wise. We are sort of over the hill from now on. Now we will try to discuss this in more detail. For many Buddhist masters especially the sublime, and those who are accomplished, language is totally vague. Especially for the great ones, for them our eloquent Queen’s English, Chinese, or whatever, is no less vague than a baby saying, ‘ah ah’. But we have no choice. We have to use language of course. I’m telling you this because to the trained practitioner, to their ear, there’s no difference between birth and death at all. I’ll give you this good example. ‘Goodbye’ has a certain connotation in the English language. A Bhutanese or a Tibetan doesn’t have this word goodbye. Do the Chinese have goodbye? I thought they said, ‘oh go slowly’. You understand, so the usage of language between human beings is different. This is not petty. How you interpret language in different cultures is a very important issue. In certain cultures a word might be very rude, in another culture maybe it’s OK. I’m in the process of analyzing this. For example, the English word ‘attention’, like ‘attention please’, that kind of attention; I think in some of the classical Hindi, like Sanskrit, they have a different way of saying this. They say something like, ‘pay me your, embracing nature of’ or ‘show me your compassion’, almost like that. And if you are British and if I say ‘here’s mud in your eyes’ you’ll know what I’m talking about, won’t you? Or ‘break your legs!’ You’re giving a toast meaning good luck. For practitioners, there’s not so much difference between death and birth. We get excited about birth, ‘oh new born baby!’ Maybe for a sublime being, ‘oh about to die, wow!’ The understanding of the language is different. In Tibetan the term bardo, I’m sure you have heard this thousands of times, Bardo actually means gap. Not the jeans! The word gap is just another of those vague words. But it’s a very powerful word. For some it’s sort of, ‘woah bardo you know, heavy!’ And bardo, what does it actually mean? In between two things, the gap. Now the reason why I say the word bardo is really a vague word, is because there is no ‘this’. The gap supposedly is between these two things, but actually there are no two things. Yet we have an idea of gap, and this is a good way to explain the bardo stages, the death and dying stages. I’ll give you a very good example for this. When we do vipassana meditation, we are supposed to be in the present, in between the past and the future. How ironic, how stupid! The past is gone, the future hasn’t come yet. What’s this so called present? Being in the present, being in the moment, what amazingly vague language, but so powerful. So we are going to talk about this gap. And for the sake of conversation I will have to fake these start and end points because I have to present the gap. 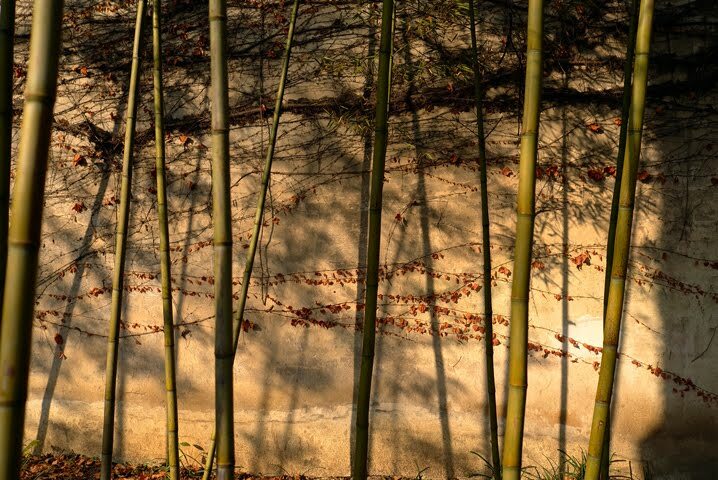 Now from the Buddhist point of view, everything that we are experiencing is bardo. Everything. Contrary to the popular belief that the bardo happens only after dying, everything is bardo. So you will ask me, ‘OK so if everything is bardo what are these start and end points’? This is for the sake of conversation only, please. From the buddha nature to the enlightenment, everything in between is a bardo. There are six different bardos. In order to understand more precisely, we break down the bardo into six stages; six different kinds of bardo. Six different kinds of bardo, that means I have to also present you with six different kinds of start points and end points. The first bardo is the bardo of being or, let’s say, bardo of living – from birth to death. One very crucial thing you have to remember is the big element of all the bardos is the element of uncertainty: That is the real taste of bardo. You have been born and you are not dead yet and you are now in the living bardo at the moment, all of us, totally uncertain, totally. We don’t know what’s next. We think we know and we have a little bit of rationalism so that we can say, ‘oh well, you know if I eat too much Sichuanese food I’ll have a stomach problem’, stuff like that. But most of the time our prediction is like weather reporting, especially in London. Real weather reporting has to be every second, every moment. OK, now the cloud is coming, now the sun is shining. That’s how it should be otherwise you can’t really predict. So when you’re in London you have to wear a bikini inside, stocking, big jacket, a raincoat, umbrella, suntan lotion everything you have to have on. Well that’s how it used to be. But not anymore, the weather has changed. If you look at our life, anywhere we go this is how we should be living. We actually need everything. We need a car, we need an aeroplane; we need everything. Why do we think we need all of this? – Uncertainty. Then we think that we can make it certain, such as reconfirm our flight for instance. Or you put some metal on somebody’s finger, and you sign in front of some really goofy sleepy judge, then you are married, it helps, and of course in the presence of god. God is a very big insurance policy. All of this is coming from uncertainty. So the important aspect, the element, the big chunk, of the bardo is the uncertainty. 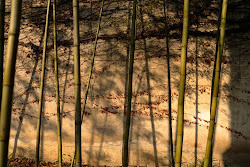 Then there is the characteristic such as wandering nature. The bardo being is supposedly like a feather in the wind. No control. Wherever the wind comes the feather goes. Look at us, we are that feather. Most of the Buddhists call it the wind of karma. Just as you got a job as a president of the Hong Kong and Shanghai Bank, you meet a soul mate in Bolivia who cannot move here because of the visa problem. The wind from Bolivia is coming. The wind of karma is so strong, even in our day-to-day life. Our girlfriend is in a good mood in the morning. By the evening for no reason she is in a bad mood. Perilous! And another characteristic is special to human beings. We call it – Busy-ness. We have to be busy. Even though we complain that we are busy, we have to be. If you are not busy you are nobody. Like ants, you have to be busy, so afraid of not being busy. And we always have this poverty mentality, always thinking I don’t have enough. I could have more. There are so many descriptions in the Bardo Thodrol, in this big book. I can tell you all this. Anyway, this is what we call the bardo of living. The whole point of me giving you this teaching is that I’m supposed to tell you what you are supposed to do with it. It’s very simple. You just need to know this: First of all you need to know that you are in that bardo of living. Secondly you need to know that you are like a feather. Thirdly remember that wind from Bolivia. All of this you have to remember. Then you have it. It is not like it’s going to come to you. You have it. This acknowledgement is called awareness. And actually this would do as a spiritual path, just knowing that you have that. But we human beings like to have ritual. So in order to enhance these events by all means offer incense, candles, sit in meditation, go to a cave, chant mantras, do whatever. They all help of course. Again I have to create these two edge points. From the time you sleep till you wake up, that’s the time we call the bardo of dreaming. Many tantric Buddhists really like this because it’s like a little bit of death. It’s a small time death. At the same time you have the luxury of coming back every morning. And especially the Vajrayana Buddhists, they love this because in the dream you do have what you have in this bardo of living. You have a similar reference to what you have in this bardo of living. You dream about your friends, relatives, enemies. All of that happens in the dream so it’s not like something completely alien. But at the same time it’s a little strange. Things that you can’t do in the living bardo you can do during the dreaming bardo, like you can fly, like you can fall from tall buildings but you are still sort of alive. This death really arouses so much interest for tantric Buddhist practitioners. And by the way, the bardo of dreaming also has all of that uncertainty that we were talking about, even more uncertainty. In the living bardo you are like a feather, in the dreaming bardo you are even lighter than a feather, because while you’re sleeping in Hong Kong you dream that you are in New York. That’s quite fast. And there’s a lot of uncertainty there too. Even worse, you could be dreaming that you are carrying a bag, made out of Naomi Campbell’s skin. There is an intensive dream yoga practice in tantric Buddhism. It’s like gymnastics. If you are an amateur practising where there are a lot of rocks, it’s very dangerous. But if you have a big net then you can really practise comfortably, with a lot of confidence because even if you fall you will not break your legs. Likewise in the dream, you can do things, you can jump and you can fly, basically you are safe. The quintessence of the practice of the dream is again the same thing as the bardo of living: to know that it’s a dream while you are dreaming. That’s a little difficult but with practice you can do it. A non-practitioner falls from a tall building, very afraid. Even though you know nothing seems to be happening, you are still afraid. It’s a nightmare. A not so good practitioner falls from a tall building, maybe a few floors he doesn’t know, until somewhere in the middle he remembers ‘oh this is a dream’. Then he will like to fly and try all sorts of things. So knowing that it is a dream while you are dreaming is the quintessence of the practice of the bardo of dream. The bardo of living and the bardo of dreaming are very much related. As you know many times we dream of what we do during the day. So a practitioner in the bardo of living will try to influence the bardo of dreaming, and while they are in the bardo of dreaming will try to influence the bardo of living. The third bardo is the bardo that many people talk about – The bardo of dying, and also the fourth bardo after that. We’ll be doing this tomorrow, using a text. This is a conversation between Guru Rinpoche Padmasambhava and his consort Yeshe Tsogyal. She asked some questions to him about all this bardo business. And she has written this down. She’s very special. [Q]: Rinpoche, will you ever do a teaching on dream yoga? [A]: Will I be doing a teaching on dream yoga? Not this time. Anyway, in about five hours it will naturally happen. [Q]: Rinpoche, his grandmother passed away last year. And one monk advised him that even when his grandmother was alive she was the combination of those five aggregates, so she is actually not his grandmother in reality, in the ultimate aspect? So do you think this is a good way to practise? [A]: Yes, and I will add something more. You are not also the grandson! [Q]: Is there any advice on how to incorporate the bardo concept into daily practice, for example into shamatha meditation? [A]: Of course there’s learning the mantras, prayers you can do, those are all very good, and you should do. Those are actually easier and something that people like us, beginners, can actually do. But you know what really helps? Let’s imagine that some of us are in an elevator. And it’s actually a fake elevator but we don’t know. We are going to the top floor, and it’s taking a long time. On the way there are so many problems, lots of scary stuff like maybe laser swords cutting through your limbs. We are all very afraid. We are looking for someone for help, and within this elevator let’s say there’s someone who could help. And do we know what is real help, the real helping method? If he doesn’t have fear. Meaning, he must know that this is an illusion. If he knows this is an illusion then he’s not afraid. The rest of us are looking at him and he says, ‘OK, go away, go away’. So that is a very important help, especially for the dying, the already dying or even the already dead person. This is why the reading of the Book of the Liberation through Hearing is so important. It begins with something like, ‘Oh son of the noble family, oh daughter of the noble family’ referring to the dead person. ‘Don’t be afraid. You will not die, because… and don’t be afraid of death, because you’re already dead’. I’m serious, there’s stuff like that, there’s so much advice. And if it is read by someone who really has a good understanding of this, it helps. You know we have this concept called reliable person. It is someone who knows the truth. OK that’s it for tonight, and if we are still alive we will see you tomorrow. Before the bardo of dying we have to talk about the bardo of Samadhi. I’ll summarise again. In very simple language the Buddhist perspective of death and living is that we are in the gap. The word gap is used only for conventional reasons. Please don’t think there is some kind of a realm called gap. The beginning point and the ending point that create the gap are both imaginary. Also, when I say imaginary I am not despising it. Even though they are imaginary they are very powerful. You can only imagine yesterday. You can only imagine tomorrow. But they are very powerful. Because of what happened yesterday, last year, 2,500 years ago, we do certain things. In order for us to understand this more easily we have categorised these gaps into six different kinds. Also to remind you that uncertainty is a big element of the gap. And that the initial purpose of talking about death and dying is to obtain this wealth of sadness. Sadness is so important. It’s a bit like romance. You have to have a little bit of sadness with romance. I think 90 per cent of romance has to be sadness, doesn’t it? Otherwise it’s very flat. I’m telling you this as someone who has studied film a little bit. This scriptwriting expert said in order to write a good love story it has to have lots of obstacles. This morning we begin by talking about the third bardo, the bardo of samadhi or bardo of meditation. This is interesting because when we categorise the bardo into six, they are of course connected but they are also distinctively different, all six of them. In our bardo of living here I can see you, you can see me. This is bardo of living. Now this is distinctive from the bardo of dreaming. If you are dreaming, you are flying, you are falling but still you don’t get hurt. They are connected but different; quite a lot different. The reason why I say it is interesting is because the bardo of meditation is quite distinct from the other five bardos. When you are meditating even for a moment, let’s say one minute, the moment you start concentrating on something like toothpaste, you are conscious of that. Then you think about pizza. You are distracted by the pizza, and forgot the toothpaste. You forgot about being conscious of the toothpaste, and you get worked up and entangled with the pizza. In between the two is the gap of meditation. This bardo is actually different from the bardo of living. This is not the bardo of living, it’s not the bardo of dreaming, of course not. The so called bardo of living actually is the ‘worked up’ pizza onwards. It is another world. Basically the six bardos are like six worlds. The meditative state is another world. It’s an incredible world. Yes it also has its element of uncertainty. But for those who are used to it, the uncertainty at the same time has a familiarity. It’s a familiar uncertainty. It’s a very funny thing for those who are good at meditation. For those who are not good at meditation, then uncertainty takes you away. How many of you have taken LSD? Raise your hands. Any form of drug? Hallucinating drug? How many? When you take drugs I think it takes you to this totally artificial place. When you take drugs you get into some completely artificial state like this. This is why young people take it. Very cheap! And it’s really dangerous. I also have a little bit of a soft spot towards the experience of drugs. I don’t want to look down on it. So I have to justify this a little bit. I went to Peru recently, an amazing place. I have always wanted to go to Peru. It’s very strange. I’ll tell you, I always feel some sort of déjà vu whenever I think about sun gods and Incas. I always feel like I must have been one of them, from a very long time before. And this is quite strong because I haven’t read much about Incas and I don’t know so much about them theoretically. I feel that many of my previous lives were Inca. And the way people talk about how all those Incas were uncivilised and that their ritual involved all sorts of human sacrifice, cutting human beings and burning and all that, then generally, I feel very defensive! Coming from me that’s kind of surprising, of course trained as a Buddhist, in non-violence and all of that. But Incas? Sacrifice of human beings? Sort of understandable! I met some shamans and they were very interesting. They gave people who come to them these plants. They say taking these plants, like peyote, will bring you to another world. This really powerful extract of plant they say will make you die for ten minutes. I’m not being a Buddhist chauvinist here but I think it is like an artificial samadhi, really artificial, and related to the world of the bardo of living. As for samadhi: when we meditate there’s no artificial substance involved. The purpose of this is that you begin to see this so called bardo of living as kind of pointless. That does not mean that you will become an irresponsible anarchist or pessimist. We always say ‘what’s the point?’ The definition of the point has changed. When the definition of the point has changed, then everything, your attitude to the world changes. That’s a really high class renunciation. It does not mean that if you are given a job as a CEO of some big company that you will reject it. No, you will stick with that, you will pursue it and you will get it and you will work, but you will know that the point has changed. This is important. Many people do meditation these days and their point of doing meditation is therapy or relaxation. If you are really doing meditation then you will realize what’s the point of relaxing? That’s the third bardo. Now the fourth bardo, the bardo of dying. This is what many people point to as the real bardo. Again we have two points. The beginning point of this bardo is the time you are facing a definite cause of death, so called death. These are very vague as I told you, but that’s the only way to categorise things. From the time you are certain that you are dying. This time, of course we’re dying, that’s for certain. Basically there’s not so much hope. Let’s say you are 99 years old and you just had an accident that had a very big impact on your body. You are bleeding. You know there’s no way that you will recover. Starting from there, all the way up to when the consciousness is dissolved into the dharmata. That’s just one way to express, or when you are fainted on the alaya is also another way to express. Sometimes certain elements get disturbed because you ate a chicken with flu, then that’s called sickness. Basically another element is invading your element. Another element that belongs to a chicken comes to you. Well actually you stuffed it in your mouth! I was told that after cooking it’s OK. Anyway even a little bit of dysfunctioning of the element causes sickness. Now elements are getting worn out, used up because you have celebrated your 47th birthday recently. Basically elements are used up. Downloading some new software helps a little bit. Like echinacea, bird saliva, tiger’s tail, who knows maybe they help. Anyway, no matter what, it’s going to become an old model and one day it will be outdated. OK this is a very big one. I’ll start with Yeshe Tsogyal. This is of course a completely generalised example. Yeshe Tsogyal’s teachings are based on a depiction of someone who is gradually dying, someone who actually has a proper time to die so to speak. In our modern world, I don’t think we have the leisure of really dying properly. The reason why I am saying this is that Yeshe Tsogyal’s comments about the dissolutions are gradual. First this will come and then this will come and then this. But often nowadays everything can come very fast, almost together, with the siren of an ambulance, and with some nurse or doctors touching you and pumping your heart. And when all of this is coming together, you cannot even ask people, ‘oh no I want to die peacefully, don’t do this’. You can’t because your families can get sued if you don’t allow them to provide you with that service. This is why the great masters of the past say that those who really want to practise the dharma, those who are a good practitioner or trying to be a good practitioner, when their death is getting near, they should really copy the lion. How lions die, that’s how you should die. When lions are sure that they are going to die, they go to a place where nobody finds them and then they just sort of peacefully die in some cave. I don’t think we have the time or facility these days. First of all, your own will of living one more day is very strong so you will try to do everything possible to extend your life. Then there are all your loved ones, half of them completely desperate, worried about you. And then there’s the other half, with the lawyers coming with their wills to be signed. So I advise those who need to write a will, you should really update it every hour. The order is not necessarily like this, so don’t take this as the only order. Let’s say the earth element in your system is deteriorating. Well, according to the bardo teachings usually it is not really deteriorating but it is more like a dissolution; dissolved into the water. Even in your bed, you are carrying nothing, no luggage, no suitcase, but you will feel very heavy. Even to lift one finger is very heavy, requires so much effort. Then gradually the water element dissolves into the fire element. This is a completely dry experience, you will think everything is so dry. You will actually feel dry, lips, no saliva, dry. I’m abbreviating all of this. And then fire dissolving into the wind. You will feel cold. Now even though I said the order is not really like this, this is a general order. I think just before the death, our body gets really cold. I would say this is probably the last element that dissolves even though the order varies. Fire to wind. Maybe there’s a difference between scientists and Buddhists. Wind dissolving into consciousness. This wind is very important. Wind is like the bolts and nails of the house, probably the most important element. Like driving a car or riding a horse: your mind is riding the wind. More than anyone the Chinese should know this; they refer to it as ‘chi’. Wind is not the right word: Air, Prana in Sanskrit. Right now we are feeling normal, do you know why? We are like a flute. There are holes in the flute, top, bottom and on the side. When your earth, water and fire elements deteriorated, you are becoming like a flute that has one hundred extra holes. Your wind no longer knows where to go. Of course it still moves. But now there are too many holes so the wind is very confused. Your air is completely dysfunctional. The most obvious experience of this is that you will only be able to breathe out but you just don’t know how to breathe in. At that time, Yeshe Tsogyal says you will experience as if you are being pressed by a big mountain. You will feel that you are being stuffed inside a black hole. By the way, for those who don’t believe in reincarnation or those who have doubts, I can only say who knows whether this actually happens? But who knows anything! We don’t know when we die what will happen, whether Yeshe Tsogyal is right or wrong. When you go and get your insurance, you also don’t know what happens to you, yet you still insure. You might as well hear it and remember it sometimes, so if it does happen: Oh Yeshe Tsogyal was right! Humans are really strange actually. There are so many things that we don’t have any good reason to believe, yet we decide to believe in, and they are not even that useful. Most of those systems are scams actually, such as in India, I insured my car. Five times I had accidents. I have gained nothing from the insurance company because every time they say, “your accident is not bad enough.” But meanwhile the insurance company raised my premium because I have had an accident! Now this is a big scam, don’t you think? So I will have to have a really bad one which involves me dying, I guess. Most of that won’t help me, it’s definitely helping them. So scams like that we completely bow down to. Again, it looks like today is the drug day, so let me tell you a story. When I was in Australia, two young men came to me and they brought this very small ‘DM5’ or something. They said they had a very special experience. They said that the moment they tried, the first thing they saw were two lights, one from the right and one from the left. And then they said, it is amazing, you just feel like there is an automatic desire to be at the point where the two lights meet. It is like an unstoppable desire to be there. And the moment he went there everything changed suddenly. He said there were two people sitting next to him, right and left and they had spider heads, but with hands and all of that. He told me many things but the interesting thing is that as he travelled in these kinds of experiences one of these creatures, something like a bird, talked to him. He felt so familiar, so comfortable with this bird like he has seen this bird somewhere before. And this bird told him, “oh you should go and ask the Dalai Lama or the Tibetan lamas about…” something which he forgot! Anyway this is why he came, he said. That is really interesting I thought. So what I am trying to say is that I think the so-called visions of the friendly beings or hostile beings may exist in the bardo state because even in the artificial experience they seem to have that. Let us continue with Yeshe Tsogyal’s advice. This feeling of being pressed down as all the elements are beginning to dissolve, one should not be worried or get anxious because it’s nothing more than a sign that there is a dissolution of the elements. This feeling of being stuck inside a black hole is nothing more than the deterioration of the sense of consciousness. This feeling that you are being thrown out into space, thrown in the sky, one should not be worried because it’s just a sign of the separation of body and mind. The container and contents are separated at this point so the mind has no more container. The modern world and the scientists might not talk beyond this point. In Buddhism mind and body are related but at the same time they are separate. At the moment we cannot separate the mind and the body because they are so used to each other. This is important to realise. Right now the only way to convince ourselves that there is a mind is basically by using the body or in the other elements. This is the Buddhist way of talking. So to prove that I have a mind that wishes to pick this pen up, then my body picks this up. We talk in terms of having a mind, someone who is doing the wishing to pick this up. Now the body through the dissolutions is not functioning any more. This mind is left alone. I don’t know how much detailed we should go into; this is a very big subject. Buddha said: “Mind; there is no mind; mind is luminous”. This is a very big quotation in the Mahayana sutras. So many pages have been written to explain this. It’s not cryptic language, it’s very straightforward. At the same time it’s very profound, that’s why there’s so much explanation. When Buddha said ‘mind’, it looks like he is indicating there is something called mind. So based on that mind he taught all that mind training system. And then his second word, ‘there is no mind’. Based on that, there are all the teachings on emptiness. But when scientists or modern people say there is no separate mind independent from the body, that is not the same as the second verse, there is no mind. It’s totally different even though both are using negative language. These three parts of the Buddha’s word cannot be taught separately. This is where Buddhism gets very difficult. It’s like, if you take your child to a magic show and your child sees this elephant. If your child says to you: ‘Oh can you see the elephant?’ What can you say? The ideal answer is: ‘Yes. No. Yes’. The ideal answer is: ‘Elephant, there is no elephant, the elephant is magic’. By then you have already confused your child. You have to say: ‘Yes there is an elephant, I can see it’. When the child grows up then you can slowly explain: ‘You know there is no elephant, but you could still enjoy the magic’. So this is where things get difficult. Now the wind dissolves into consciousness. Consciousness is totally alone. Does the consciousness function? Yes. How? Not through the senses, remember the senses are all gone, not functioning anymore. So what does that mean, that this consciousness is no more functioning with the language? You see, I’m looking at this and there’s language for it, a table. Now I’m dead. My eye consciousness is no longer working, it’s gradually deteriorating. I’m looking at this. I can only see a shape, a form and even that’s gone but the mind still sees not as a shape, not as a form, not as a table. The mind still sees not as anything that usually you see through the senses, language, culture and tradition. Then what do you see? What is it that he sees? You say he doesn’t see anything through the senses, yet you say that this mind sees something. What is it that is being seen? It’s very difficult to express this. The most ultimate language to express this is: you see your own display. What does that mean? So a slightly bad way to express this, you see deities, forty-two peaceful deities and fifty-eight wrathful deities. Then all kinds of questions arise. Oh, how about non-Buddhists, do they see the deities? And stuff like that. Those are stupid questions. Deities are a display of your mind, it has nothing to do with Buddhist or non-Buddhist. And the most common way to express this is that you either see hostile beings or peaceful, friendly beings. Don’t be afraid, they’re all your own display. Don’t be afraid of the sound, they are all the sound of your own mind. Don’t be afraid of the light, this is all your own light. At this very point Yeshe Tsogyal says just look at the mind and don’t judge. The moment you judge you are judging something that exists outside. And the moment you have a dualist mind, it is the beginning of samsara. Just insist on looking at that mind. The amazing thing is, right now, as a practitioner we also look at mind. But our way of looking at our mind is very weak, always distracted. During this bardo time, if you look at your mind, it is very powerful. Even if you are the laziest practitioner now, if you really remember to look during this time, your non-judgemental looking is very powerful because you don’t have many distractions; because the tubes are gone, broken, no agents. But unfortunately there is an obstacle. You can be afraid of your own display. Actuallly that’s happening even now! When you are afraid of someone, you think this someone is very dangerous, he has a knife. That was the education you had in your head and then you projected that this is happening. If you can remain in the bardo of dharmata, that’s the end of samsara. But you get so afraid of these hostile beings or all the visions and the light and all of that, you get distracted. So from the point where you are definitely dying, all the way up to meeting the dharmata, the dissolution of the last element, that’s the bardo of dying. This is just trying to give you the idea of the borders of the two worlds. Your elements all dissolve and touch the consciousness. The fourth bardo: out comes all the display from the consciousness. You didn’t know that this is your own display. You are afraid of all these experiences: The beginning of the fifth bardo. Fear, you are so afraid, you are looking for an escape. You found an escape: Conception, as a butterfly, as a bird, as a human being, whatever. That’s the fifth bardo. [Q]: You spoke earlier about the drug experience being completely artificial and the start and the end of the bardo being imaginary. And that many of the things within the bardo are a fabrication. And also the quintessential uncertainty being an important part of the bardo. So how are we to know what is not artificial and if we can know then how can we lose that uncertainty? [A]: What’s the difference between artificial and non-artificial, is that it? [Q]: How are we to know what is not artificial and if the quintessential characteristic of the bardo is uncertainty, then if we know what’s not artificial then uncertainty goes. Is that the implication? [A]: Yeah, you have already answered this yourself. What makes the drug experience artificial is because it’s certain. [Q]: But then the beginning and the end of the bardo is imaginary and, and within the bardo a lot of it is imaginary so how to tell what is not artificial? [A]: During the drug experience? [Q]: No, not specifically the drug experience but all the different bardos. A lot of them you say are largely fabricated or imaginary or kind of subject to your perception and, is it all completely artificial? [A]: No, everything of course, as I said yesterday, everything is an illusion. But I was talking about artificial exclusively as a drug experience because the drug experience, that uncertainty is an altered, coached, guided tour basically, guided uncertainty. That’s not a good uncertainty. It’s like tourists who say that they want to have adventure with credit cards and travellers cheques and with a reservation in certain hotels confirmed everything. Where is the adventure? If you want to have adventure, give your passport to me, credit cards, givethem to me. Change the numbers of your friends and loved ones or try to forget them. Then you begin an adventure. [Q]: What is the end of the fourth bardo, the bardo of dying? [A]: When it reaches conception. I’m using very simple language, dharmata, what they call luminosity. When it reaches there. [Q]: I want to ask a question about artificial bardo. Next week I’m going to have an operation, to cut up my stomach so I was wondering whether I can use the experience as part of meditation? How to make it a thing that is more adventurous to me and to all of us? [A]: You really want to know? Don’t take anaesthetic! [A]: Basically, very practical. There’s an advice when you die. There’re five things that you should carry with you all the time. Five things to pack: the guru, deity, view, bottle of water, and mobile phone. OK so the mobile phone and water are very difficult to take. So we have only three, sort of possibly you can do. But out of these three, view is difficult. If you are good practitioner already, it’s fine. But if you’re a beginner you don’t have time to read the whole Madhyamaka at that time. So deity is better. There are two left now. Out of these two, deity is more difficult. You’re worried, you’re afraid, you panic. You can’t even remember your own hands. How can you remember the six arms of this and that? So the last option, remembering the guru. [Q]: Rinpoche I have a question and that concerns the dying bardo and organ donations. Some tantric teachers say when one is dying if you give away your organs it sort of interferes with the dying bardo. Is that true? [A]: If you are a good tantric practitioner, you have got good instructions, and you have been practising for some time, then I would say, better not because you have quite a good chance to to reach enlightenment there. Your organs will only help one or two people. Your getting enlightenment will help billions. Having said that, if you are not a good tantric practitioner but you are an aspiring Mahayana practitioner, a bodhisattva, you can’t really do these deity practices then by all means I would encourage you to give. An act of compassion is priceless. Even managing to help one sentient being is worth it. OK the bardo of dharmata. I am briefly going to explain to you the beginning point and the end point of that. But I will try to base it more on day to day life examples. ‘Dharmata’, of course is just a term. For all we care we could call it a steam bun or something, it doesn’t really matter. But dharmata is a very good term – meaning this is the absolute gap. When we talk about the bardo using language such as ‘gap’, one might think it is something really long or at least that there is some kind of a time. This is not necessarily so. Always keep in mind, time is totally relative. In the bardo of living, there are so many short lived people. Others quite long such as 46! Likewise the bardo of dream also could be very short, like a power nap, a one minute sleep. You can have a dream that lasts a year in dream time. But the bardo of the gap of the meditation, again depends on how good a practitioner you are. If you are not a good practitioner the moment you concentrate, the next moment you are lost, you’re gone. You are distracted already. So the same thing with the bardo of dying; depending on your karma, the bardo could be short, or it could be long. The standard idea is 49 days, 21 days, etc. all of that. If you have done something terrible with extreme emotion, at the moment of the separation of the body and the mind you are in a painful realm already. There is no time to go through all these bardos slowly. If you have done something wholesome with the greatest motivation and compassion, and bodhicitta, the moment the separation of the body and the mind comes, in your perfection you will be waking up in a lotus. Of course that is if you are a western land lover. And there’s lots of choice on the menu. There’s a copper coloured mountain. There’s Akshobhya realm, all of that. Anyway at the moment I am talking about the duration of each gap. The bardo of dharmata is a special case. If you are a practitioner your aim is to make this duration long. This should be your aim. But of course this is not the highest aim. The highest aim is to break the beginning and the end, so that there is no more gap. Let’s say you can’t aim that high. At least as a beginner, as a practitioner, the aim is to make the gap of dharmata as long as possible. Whether you believe it or not, when you experience dharmata, that is the mind of the Buddha. So this is why we like to extend it as much as possible. But if you are not prepared during the bardo of living it’s difficult. These rays, the light and the display of your mind are just too much. Again we can use the analogy of the drug experience. When you use those unpleasant drugs these scary visions bother you. But if you can remember constantly as you experience: ‘it is because I took that stuff’, then you are fine, of course! But it’s difficult to consistently know that, for many reasons. One reason is that the appearance of the drug effect gets stranger and stranger. What came earlier will not come later. Just as you are beginning to feel comfortable with certain vision there is a new one. Then there are all these unexpected perceptions invading your space. Let’s say you have an experience of a scary looking person coming towards you who talks with his ears, who has a tongue sticking out from his belly button. Then, immediately you remember, ha, this is my hallucination, right? Good, this will not bother you. But immediately you see this beautiful girl. For a split second your mind is distracted, and then another scary one comes. This is the drug experience I am talking about. During the bardo of dharmata all these visions are too much. So for most of us ordinary people, it’s a bit like a ball hitting the ground. The moment it hits the ground it bounces back. The duration of experience of the fifth bardo is so short. It cannot even be considered an experience for ordinary people. For not so ordinary people, they can hold it for a while. And the more you can hold it, the more you realize everything surrounding you is just your perception. Good, that’s the really amazing path to liberation. I suggest that you watch a movie called Cell. Jennifer Lopez. A bit like that I think. Or if you have patience, watch 2001, Stanley Kubrick. The ending is really like bardo teachings. If you want to watch a film that’s something to do with the artificial experience of gap, then watch Jacob’s Ladder. It’s really good. It’s actually written by a Buddhist. If you really want to watch something a little bit to do with the bardo, but cheesy, really bad, then watch Ghost, Demi Moore. ‘2001’ is good. It is fantastic, amazing really. Try to watch it on the big screen if you can. Most people bounce back and are afraid of their own perception, so what is their automatic response? Fear, escape, trying to look for a hideout. They just can’t stand this bombardment of visions and experiences. I don’t know if this is important to tell you, it is kind of difficult but I will tell you. When your consciousness hits the dharmata, at that moment, in that short gap the wind from Bolivia will not work. Karmic wind has no influence over you. The moment it bounces back, the moment it starts bouncing up, Bolivia wind is starting. You understand? This is a very important part of the bardo study. The moment you are scared, the moment you are looking for a place to hide, karma is there. And if karma has any mind, karma is very happy. You are a perfect victim. Then you will begin to look for a hideout. This is a generalization, a very broad example. Let’s say you die today. Let’s say until you get rebirth you have ten days. The first day you don’t even know you’re dead. You think you are still alive. The second day you are a little bit puzzled. All the other people are not talking to you. You’re talking to them, but they are not answering you. And then on the third day you are even more puzzled because the moment you think about the next room you are already there without going through the door. If you run on the beach, there are no footprints. Stuff like that. And there is so much fear, basically the fear of losing reference. You have recently printed a name card: CEO of something. To whom are you going to show this now? All this kind of losing reference. Everything that you have done in this life is basically building a reference and suddenly these references are all completely useless. Not just partially useless, completely useless because you are in a different world. By the fourth day if it is me I will be thinking, OK what is my name? I will remember ‘Dzongsar’, but what’s the next one? The ‘Khyentse’ I have forgotten. I know I have a second name but can’t remember or just not existing. Beginning of the fifth day then as if the alphabets are taken out, maybe in your system you don’t have ‘a’ ‘c’ ‘w’ ‘z’. More than half of the alphabets in your system are gone. It is not just forgotten. It is not in you anymore. So let’s say you need to say ‘when’. Now if the letter system ‘e’ doesn’t exist, then you cannot say ‘when’. The ‘w’ and ‘h’ you have, and then ‘n’ you have. Language is falling apart. By the end of the fifth day and beginning of the sixth day, maybe you will put your trousers on and out come chicken feet instead of your feet. You really wonder. That is if your Bolivian wind has the energy to make you into a chicken. If you are going to be a rabbit then that’s another thing. On the sixth day you don’t like this, these chicken feet. You’ll try to hide and really feel very uncomfortable. On the seventh, eighth day you feel comfortable, chicken feet are fine. By the ninth day when some small insects are coming, you feel ‘Oh! This is like a Peking Duck’, good food, a delicacy, walking up and down. This is just a very gross generalization of the long teachings of the bardo of dharmata. Now the force here is this fear of no reference; the longing for a hideout – searching, searching, searching. And of course all this time one of the greatest uncertainties will be there. The uncertainty that we have right now is nothing compared to this. At least our uncertainty lasts for a day or two, and then it becomes uncertain. But there, minute by minute, moment by moment, everything changes: language, system, culture, mood, everything is uncertain. Now your Bolivian wind is beginning to find a hideout. There are also two other Bolivian winds coming from two different directions, so there are three Bolivian winds coming together. There is your mother’s Bolivian wind coming. And the father’s of course. And then, it doesn’t have to be human being all the time, anything. And when these three gather together, that’s the end of the bardo of dharmata. You are conceived. I have been using Bolivian wind quite a lot; that is very important. Let’s say you have the Bolivian wind coming, forcing you, pushing you, pulling you, but your mother’s Bolivian wind is not working, or not meeting. You could remain in this state of uncertainty, and fear, escaping, longing for a hideout, for eons upon eons. Shakyamuni Buddha said in his sutra, I think it is Avatamsaka Sūtra, that there are many beings in that state who have never seen the Buddha, from Dipamkara until the last Buddha, never. During all this time they are still in the bardo realm. So, this is just a sort of footnote for practitioners, compassion practitioners. If they don’t have a good Bolivian wind, then we as a practitioner, we try to create wind and get connected to them, that is possible. And one of the most effective methods is Avalokiteshvara, his samadhi and mantras are supposedly the best. Now the sixth bardo is easy. From the time that you are conceived in your mother’s womb until you are born. But the thing is there’s still is a state of uncertainty. Don’t think that this foetus doesn’t have that uncertainty, it does. And then birth, first bardo, and so on and on and on; these six bardos. By the way, for most of the people one bardo is missing, samadhi bardo of course. They only have completely spaced out bardo. That’s it. I’m finished with the bardos. This time I’ve only told you the structure and the philosophy of the bardos. I deliberately didn’t put in anything practical. Just the knowledge, just the information, I think this is already good. What you should do and all of that is very big. But in all the six bardos you must have noticed something. What you can do, just knowing the essence of the bardo of living. Not intellectually. Just be aware of this uncertainty. If you are aware of this uncertainty your attitude towards planning will change. You might still plan like oh 2031 January the second, let’s have tea around 4pm somewhere in the Champs Elysees in Paris. But the moment you plan this you will laugh at yourself. And this laughing at yourself is awareness. So like in all the bardos all you need is one thing and that’s awareness. This is why in Buddhism more than anything. Wisdom awareness is cherished, emphasized. In order to develop this awareness there are many methods. But I will suggest to you, I think the best, most effective, cheap, risk free, portable is shamatha and vipassana. If you don’t know how to do shamatha and vipassana, for those who are really beginners, why don’t you start with sitting and do nothing. Since we all like to have some kind of a structure, and if you want to, this is not compulsory or mandatory, why not starting from today, sit for 300 hours, and when you have finished that come back to me. No meditation, just sitting, just sitting straight. The way to count the 300 hours is: if you do less than five minutes it cannot be counted. If you do five minutes, it can be counted. So let’s say if you do two times of five minutes then you have done ten minutes, so accumulate like that. And when you have finished 300 hours come back and then we can talk. This is for those who are really new, and those who don’t have all the other sadhanas, homework, mantras and all of that. 300 hours is easy, no? If you divided this into one year, that’s not so bad. In three years, you can comfortably… let’s say you do five minutes a day, I think you’ll finish in three, four years. Ten years. Really! OK I will reduce. Actually if you can do five minutes a day and you do it for whole year, how many hours is that? So it is completely uncertain, we don’t know what will be next. This is important, right? Even in Zen you clean the toilet for the sake of cleaning, for the sake of rubbing, not for some kind of cleanliness. [Q]: Rinpoche two questions. Number one is in the bardo of dying. When you say you remember six things, first one is your guru, what do you say to the guru at that moment? [A]: Oh just the name is fine. [Q]: The second question is you told us about the 42 peaceful deities and the 58 wrathful deities, where can we see their pictures and read up and look at them? [A]: Amazon dot com. Also Google I think they have them, and Wikipedia. Better do it now. There you don’t have a lap top with you! [Q]: Is the consciousness in these six bardos the same? When you mention we should develop our awareness in our living bardos, are you implying that if we can use this living bardo to change our mind, then this consciousness can help us make it in the death? [Q]: so that our mind is better trained and we know how to face that challenge of the uncertainty? [A]: They are not necessarily same, but they are continuum. It’s like yesterday’s consciousness and today’s consciousness. [Ani Zamba]: Rinpoche, would you suggest people practise powa, and what happens to the dissolution of the elements when you practise powa? [A]: Yes, powa is supposedly the most effective: Buddhahood without meditation. That’s really a very powerful path to liberate ourselves, the consciousness. ‘Po’ in Tibetan means transfer. You basically transfer your consciousness wherever you are whichever bardo state you are in, not on the bardo of dharmata of course, from one place to another. And that’s a very powerful method. It is said that this is the easiest path. But there’s one thing that’s difficult and that’s devotion. If you have a really unchanging devotion, Powa is the easiest, best, no problem. But unchanging devotion is almost non-existent. Especially guru devotion, Guru devotion is difficult, very difficult. I think culturally also it is very difficult. Nation to nation, I always think that guru devotion is something more possible with the Indians. Guru devotion is possible with the Indians because these Indians have no common sense. Anyone who has common sense means they are a negotiator. The word of negotiation and the path of the guru, bhakti yoga, path of guru devotion is a contradiction. I was just in India with many Indians and there is something about them. The Tibetans claim they have guru devotion. Yes there were a few amazing ones like Milarepa, but I think compared to Indians they are quite rare; especially during this age. This is a critical age, everything has to be criticized and scrutinized. No room for pure perception, you know? Everything has to be criticized. There are too many sanctimonious, woolly headed, supercilious liberals. [Q]: Rinpoche, if the consciousness hits the bottom of the dharmata then has to come back up, what’s the point of elongating the period? [Q]: What difference does it make if it bounces back anyway? [A]: What do you mean? [Q]: If we stay there for a duration? [A]: Yes, for the not-so-good practitioners what they try to do is they try to remain there by extending the period, but they are not so good so after a while it flies up so to speak. So the question is? [Q]: What’s the difference of staying longer and shorter? [A]: Oh, just you recognize it more, you recognize the face of the dharmakaya more. This is a very important question actually, yes. [Q]: How long do we stay there? [A]: No, this is really good, because if you stay longer there, the more you stay there, then less paranoia you have. So your Bolivian wind is not good enough to remain there all the time, now you bounce back, but this time you can choose, you are not that frantic. I totally forgot to tell you this. Usually if you are frantic, hideout, so anything will do, chicken you know whatever, because you just want to get out of that. But now, you are good enough to remain in there, then you choose. You check the list: well, let’s see, Bill Gates? Oh do I want to be rich? No. A practitioner’s home? Oh maybe I will have a better opportunity to read the word of the Gautama Buddha. Like that you choose, and actually even then there’s a degree of choice. If you are really good you can choose, the Amitabha realm. [Q]: To continue the question. The consciousness, does it at the end dissolve? [A]: Yes. When the consciousness stops then that’s the end. [A]: So for those who are Buddhists please make more babies. Please work hard! [Q]: How to reach enlightenment, the first question. The second question is what is samsara and reincarnation. The third question is what book would you recommend him to read? Your book? [A]: What was the first question? [Q]: How to reach enlightenment? [A]: How to reach enlightenment, they are kind of related, aren’t they? Oh well, since you are a beginner, you really fall into that category of 100 hours. After 100 hours come back to me. [Q]: In some bardo teachings it mentions about the sense organ. When the sense organ connects with the external phenomena, then there is a certain period when there are no dualistic thoughts. Should we try to elongate this gap, this period? [A]: We have been talking about this right? [Q]: Last year you gave us this teaching on the meditation of the deity, Avalokiteshvara and it’s kind of mimicking the death process, so how does this practice subdue our emotions and ego grasping? [A]: Because death experience is a good mirror to understand the feeling of losing reference. [Q]: I want to just quickly go back to the guru disciple relationship since I would unfortunately fall into that negotiator category that you just mentioned. Do you have any advice or example for me? What is the best way in building the guru disciple relationship? [A]: OK several things are prescribed by the past masters. If you want to eat the peach in the fruit you have to know the glory and the greatness of the peach. So longing for enlightenment has to be quite strong, if you have that, then the rest is just detail. It’s not even a negotiation. You have been looking for something that is so rare, something so precious, and suddenly, in some street market you see this. You don’t even negotiate, you just throw the money and you just take it away like that. And then reading and hearing the life stories of the past bodhisattvas. And then lastly acknowledging that I am a negotiator and I am negotiating. [Q]: Rinpoche my question is for the relatives; can they move our body after we die? And the second question which way do you think is the best way for this body? [A]: Well, this not touching the body is again coming from the tantric thing. You remember I was talking about the Vajrayana path, that you should not give your organs. This is based on the same logic. For a tantric practitioner immediately after he or she dies it is better not to touch the body. Leave it alone. If you are not a tantric practitioner then it doesn’t really matter. As for what to do with the body, from the Buddhist point of view it doesn’t really matter as long as it is not harming others. If it can help others that is good, but as long as the body is not going to harm others. That’s about it. Cremation doesn’t really matter, all of that. This sky burial and all these kinds of things have nothing to do with Buddhism. It’s astrology. I think the Chinese have that actually. Astrologically there are five different kinds of burying, based on the five elements. And then sky burial happens to be in our normal world appears to be a little abnormal. In the world of people being used to earth burial, sky burial has become a little strange. In Tibet still today it’s very popular. And they think that there is also another reason because the body gets given to birds, there is some kind of practice of generosity. Usually the monks, especially the young monks, it is their job to cut the body, so it gives them the opportunity to face the reality a little bit. But like all methods, after a while it becomes jaded. One time I was in Tibet having tea, this young monk about 14 came eagerly to pour some water into my cup. He has all this blood on his clothes and all that, and I said, ‘What happened to you?’ ‘Oh, I just cut body.’ ‘Did you wash your hands?’ ‘No.’ You know what he said? ‘The body was actually quite clean.’ It’s in their heads nothing special. Actually the wind burial is even more striking I think. That tradition has stopped I think. It is supposedly really good for the elements, the environment. Basically you hang the body, make it into a ham. [Q]: How to define a good practitioner? Does it help to hold the guru’s picture a few minutes before you die? [Q]: And does it help to elongate that bardo period? [A]: Yes. That’s a good method, actually described many times. Put the thankas and sound of the guru, name of the guru, this is usually practised. Name of the buddhas and bodhisattvas. For people like myself it’s part of our job. With a telephone these days it is very easy. I’ve been doing it from India to Canada, from India to everywhere. [Q]: How do you define a good practitioner? [A]: Oh Atisha Dipamkara said, meaning when you have no more attachment to this life, then you are a practitioner; when you don’t venerate common sense, when you don’t venerate orderliness, when you don’t mind chaos, you are beginning to become a good practitioner I guess. When you are made an outcast by human beings, when you are found by stray dogs. When you are venerated by gods, meaning, gods are the highest, right? If they venerate you then you are something special, meaning dharma practitioner. But who has that kind of courage? In today’s world you have to go into the society not be made an outcast. To be accepted by society is so important isn’t it? Even the size and the shape of the trouser you are wearing has to fit, be it a very nice straight cut or be it these pants, that are about to fall. [Q]: If I don’t want to reincarnate or go into samsara anymore, if I want to go into the pure land, what shall I do? [A]: Oh read the Amitabha sutra. That’s what you do. If you want to go to the pure realm of the Amitabha you have to get familiar, you have to read its map right now. It’s like the Lonely Planet guide books. You better buy one now. It’s called the Amitabha sutra. Everything is there, everything. You know like budget accommodation, where to get the cheap jewels! Acerca del coraje. On Courage. Anyone Can Sing. Cualquiera puede cantar. taken by Dzongsar Khyentse R.